John E Fortune, MD is Assistant Chief of Orthopaedic Surgery at Santa Teresa Medical Center, San Jose, CA. 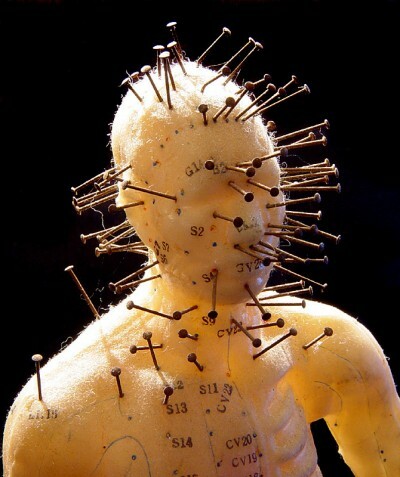 “Acupuncture” is part of a larger collection, entitled Neurasthenia, which is a series of images related to medical illnesses, treatments, and the powerful emotional reactions that health problems can provoke. Neurasthenia is an obsolete medical term referring to the association of mood disorders with neuralgia, chronic fatigue and malaise. Dr Fortune has explored other themes, both medical and nonmedical, with his own and found images that are manipulated with Photoshop. this picture made my day! invokes powerful emotions, indeed!